Chris Packham is a little bit closer to home than you would imagine… After spending 18 months filming BBC’s BAFTA Award winning, Springwatch, Autumnwatch and Winterwatch, at Gloucestershire’s very own Sherbourne Park Estate last year, the wildlife expert is back in Cheltenham. 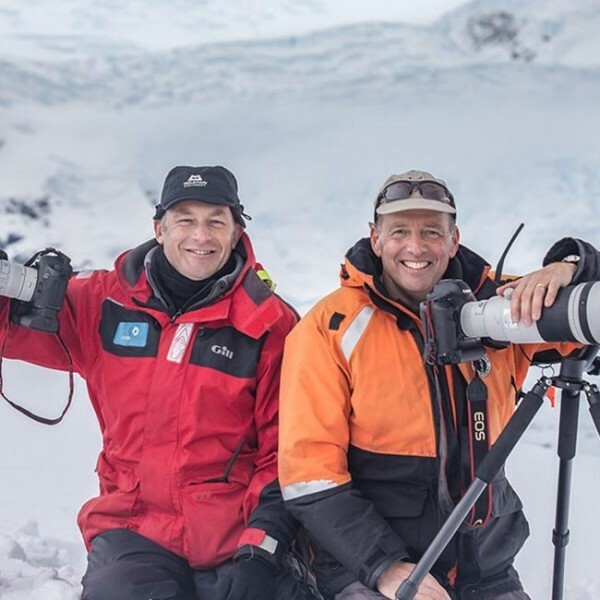 Chris Packham and Paul Goldstein are finishing their global photography expedition with their two-man show. The duo will continue their journey with an audience, illuminating their romp around the world with stories behind each masterpiece. Paul has his tigers and jaguars in Africa, while Chris tells the story behind the penguins of the Antarctic. This time is different though, as they will also be exploring the benefits of wildlife closer to home. Now, you don’t have to go all over the globe to get beautiful images, it can be right here on your doorstep. Recently with the rise of zero waste shops and a growing pressure to change our lifestyles and opt for sustainable and organic foods, there is debate that this change is targeted at those who have the money for this worthy lifestyle – can we all afford to this? Chris, who explains that he hasn’t eaten meat for 35 years at least, says it’s the little changes that add up, and cutting down on meat will actually, save you money. In closing, Chris has a real conscience and ethic to do and try his best, and deliver at the top of his profession. If that wasn’t enough, alongside the wildlife work Chris is also very active in his support for improving the lot of sufferers of autism in the UK – in conversation he is as passionate on this subject too! A true force of nature, and he should know!